BMW introduced the sixth generation of the flagship 7 series sedans in June 2015. It has won several critical reviews and is considered as one of the finest cars on sale today. However, the model has received a huge setback after BMW decided to halt production due to faulty air bags. The company is also recalling more than 25,000 cars manufactured before December 2015 in order to fix this issue. BMW claimed that there have been no cases of deployment due to the faulty airbags, but the company is issuing this recall as a precautionary measure. Owners of the flagship luxury sedan would not have expected a quick return to the service center within a year of spending more than $100,000. Prospective buyers will also have to defer their purchase – by an undefined period – before BMW sorts out the issue. 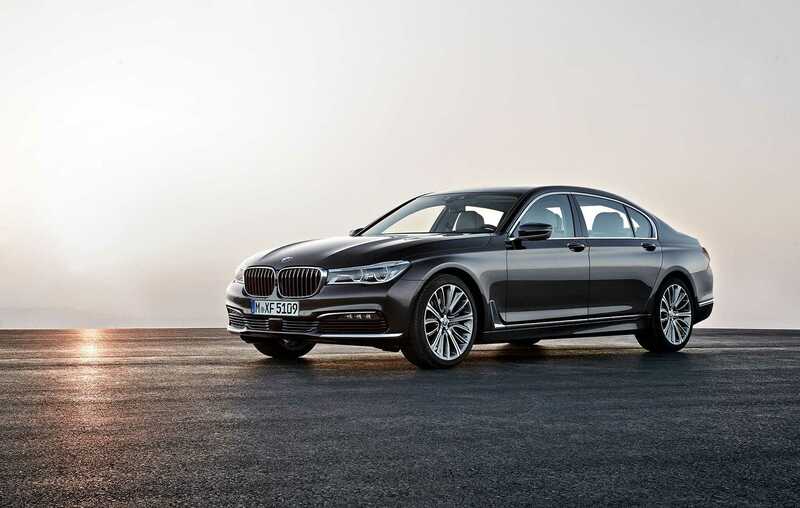 The new BMW 7 series is claimed as hallmark in technological innovation. Competing with a class leading vehicle like the Mercedes S class requires an outstanding product and the BMW 7 series certainly fits the bill. The current car is more than 200 pounds lighter than the previous version. This is down to the use of a carbon core, which also makes the tub extremely strong and protects the occupants better than before. The company made noticeable improvements in the infotainment system with gesture controls and a touchscreen making their debut. The vehicle comes with automatic parking system with the ability to have a 3-D view of the spaces around. This makes for a comfortable parking experience and helps mask the mammoth size. It is available in petrol, diesel and hybrid variants with engine sizes ranging from 3.0 L to 4.4 L.
As of now, more than 40,000 cars have been manufactured. More than 6000 vehicles will be affected by the recall just in the US market. Owners in the United States will receive a letter from the company notifying them about the recall. The 2016 models that are affected in the US include 750Li, 750Lxi, and 740Li. Sources indicate that the trouble may have arisen from the airbag control module. The default causes the module to be reset at random times. Should the vehicle be involved in an accident while the module has just been reset, the airbags may fail to deploy. BMW has intimated the National Highway Traffic Safety Administration about the recall. Previous Previous post: Huge Drop in Apple iPhone Sales as Users Wait for the iPhone 7?